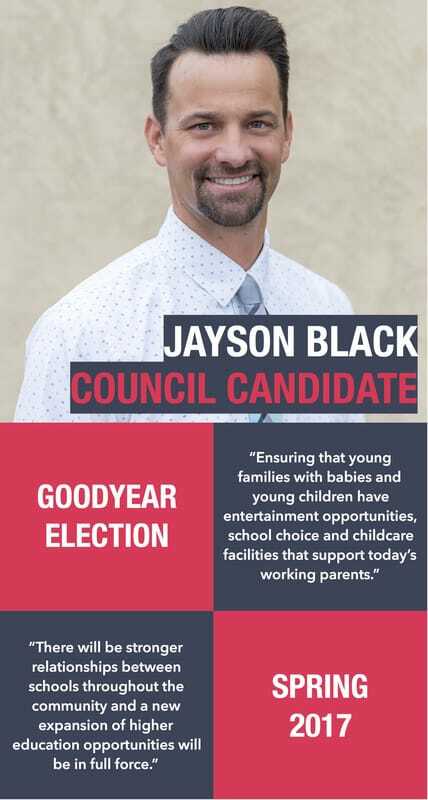 WEST VALLEY FAMILIES CONTINUES ITS TRADITION OF COVERING THE GOODYEAR CITY COUNCIL RACE. Sara Gilligan and Brannon Hampton found themselves in a runoff for one open City Council seat. READ MORE ABOUT HAMPTON HERE. 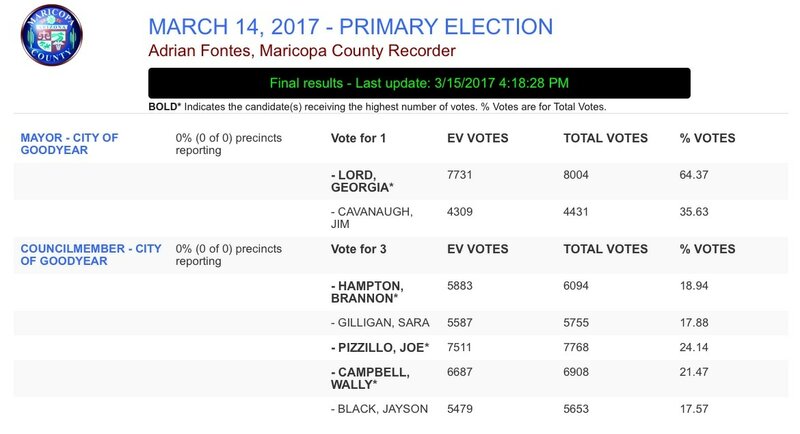 EDITOR'S NOTE: On March 14, 2017, Goodyear voters re-elected Mayor Lord and City Council incumbents Wally Campbell and Joe Pizzillo to 4 year terms. They earned 50% + 1 of the vote. One seat did not garner 50% + 1. The next two top candidates now face off May 16, 2017. 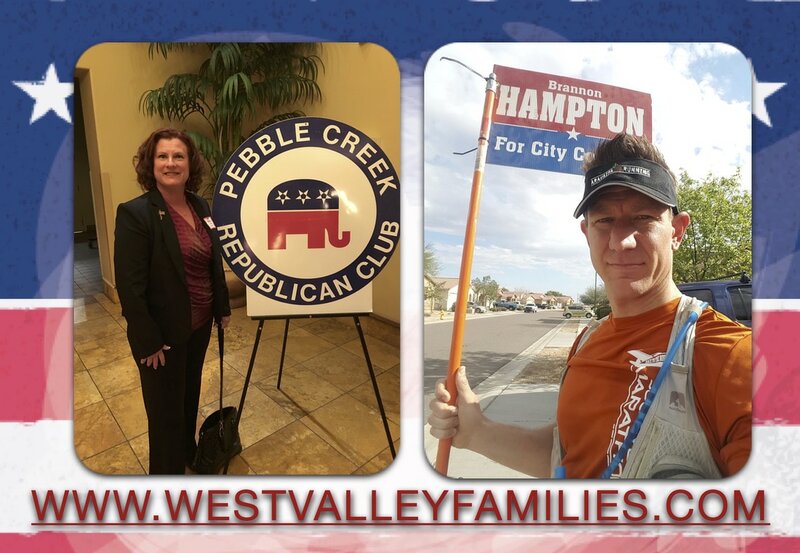 West Valley Families contacted candidates Sara Gilligan and Brannon Hampton with an additional questionnaire. The questions are more difficult and detailed. Please take a moment to read their responses. 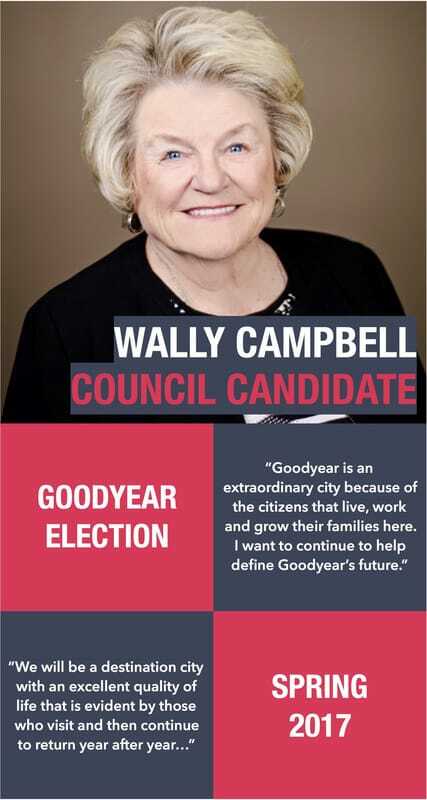 The candidates tell you in their own words their vision for Goodyear. Again, I did not alter their grammar or writing in the responses you'll find in each link. Contact me with questions here. The registration deadline is April 17, 2017 for the General Election. Registered voters in Goodyear will receive a ballot in the mail starting April 19, 2017. Voters may return ballots by mail or ballots can be dropped off. Voted mail ballots contained in the signed affidavit envelope may be placed in the sealed ballot box, at the voting sites listed below, beginning April 19, from 8 a.m. - 5 p.m., Monday through Friday. 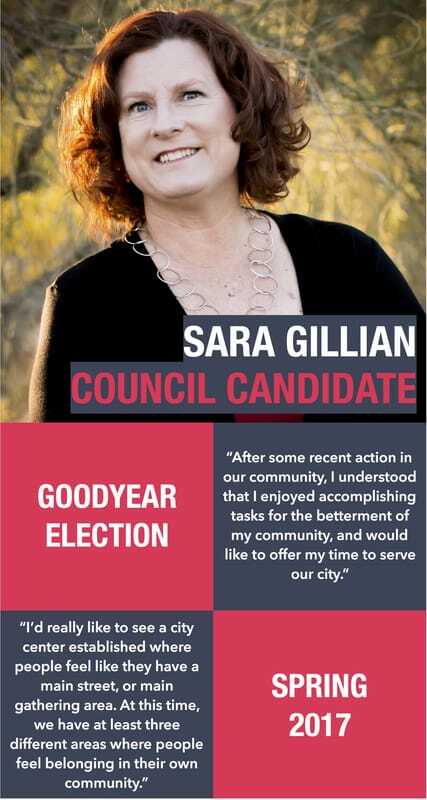 For more information about voting in Goodyear, visit www.goodyearaz.gov/elections or call 623-882-7830. EDITOR'S NOTE: Goodyear, Arizona is one of the fastest growing cities in America. I had the honor of being part of the All-America City competition in 2008. 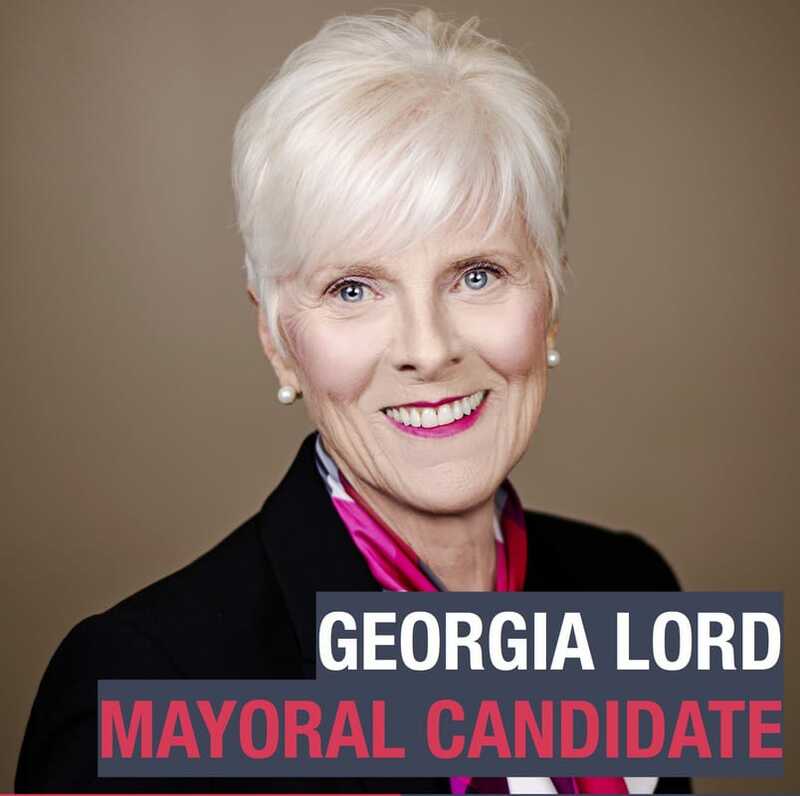 Having run for council and losing in 2009 (by 10 votes in the primary election)... then being appointed to council in 2012, I have a unique understanding of where this city has been, how its grown, and what the demands appear to be moving forward. I've followed the fire service demands issue this past year and I currently serve on the Water Conservation Committee. With very few media resources in the West Valley, I enjoy dedicating my time to helping my neighbors get the news they're missing and find out more about the leaders who want to take an active step in shaping our future cities. On Tuesday, January 3, 2017, West Valley Families hears from the five candidates running for Goodyear City Council. 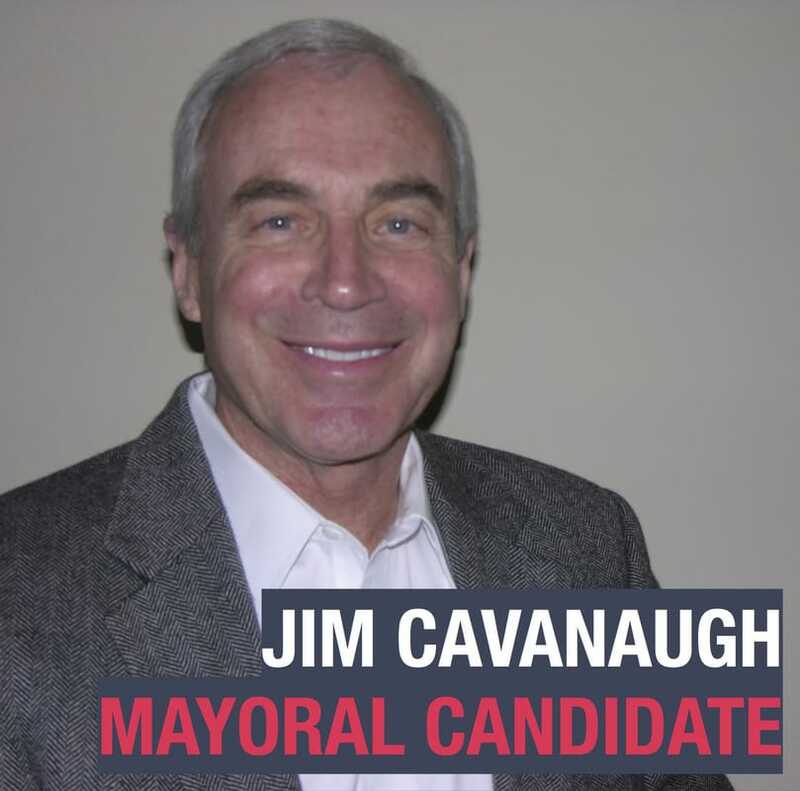 On Wednesday, January 4th, hear from our current mayor, Georgia Lord, and the former mayor opposing her in the election, Jim Cavanaugh. I sincerely appreciate the time each candidate spent answering questions. The candidates tell you in their own words their vision for Goodyear. I will note, ALL candidates returned questionnaires to me on time. I did not alter their grammar or writing in the responses you'll find in each link. The Primary Election will be held on March 14, 2017. The General Election, if needed, will take place on May 16, 2017.